I have not followed the protests in Hong Kong in any way closely, but the role of the city in China strikes me as similar to the role played by St. Petersburg in Russia. Both cities (especially Hong Kong) have a somewhat artificial history imposed upon it by the west — though Peter the Great himself imposed the west on St. Petersburg. Both cities lead their respective civilizations in producing western style culture. Neither city has of yet been able to turn their respective civilizations in a more western leaning direction, but perhaps time will tell. And here it is to be noted that a prince ought to take care never to make an alliance with one more powerful than himself for the purpose of attacking others, unless necessity compels him, as is said above; because if he conquers you are at his discretion, and princes ought to avoid as much as possible being at the discretion of any one (The Prince, Ch. XXI). The question remain then, which is the stronger, the possible tide of westernization creeping into China largely through Hong Kong, or the rising Chinese nationalism along more traditional and authoritarian lines? The United States for the most part adopts this “one country, one system” approach. In our history it has its roots at least as far back as Lincoln’s “House Divided” speech. So we end slavery, end segregation, and impose homosexual marriage from our more centralized court system, rather than the more diverse state legislatures, based on this principle. It has its pro’s and con’s. But the increasing polarization of the political landscape makes me wonder how long this can continue. We see cracks in our “one system” approach in the drug laws of Colorado which directly contradict Washington. If China takes in Hong Kong successfully (and I agree with the article cited above, I think it will. “Democracy” as an idea doesn’t seem to have the power these days that “China” does), will they model this “one country, two systems” for the world at large successfully? Could this system provide relief for American democratic practice? *If you read the whole article, one detects an unnecessary amount of British imperial guilt throughout. Maybe England should not have had Hong Kong in the first place, but who would argue that under Mao people in Hong Kong were much better off than those under his control? As I mentioned here, I believe that art reveals a great deal about a civilization. This is decidedly not a radical concept, but I always enjoy coming across things that confirm that premise in one way or another. 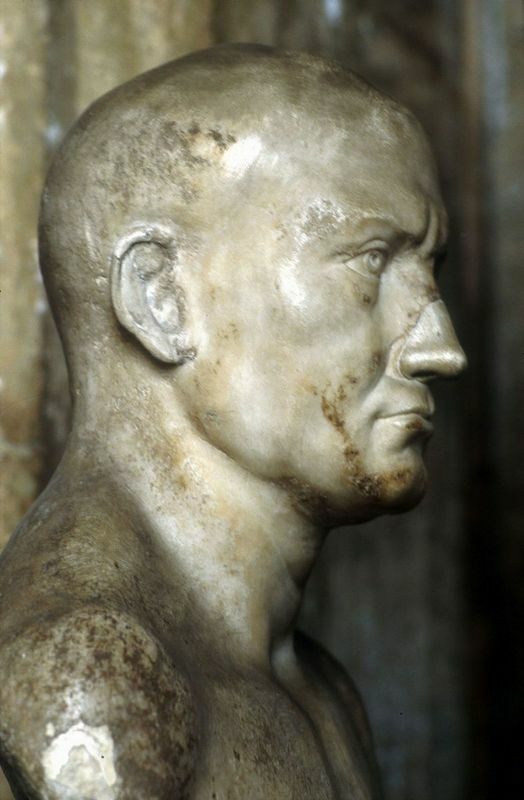 We can trace Rome’s decline, I think in the sculptured busts over the centuries. The faces say it all. 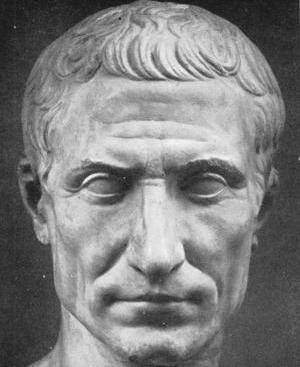 Then, Julius Caesar, ca. 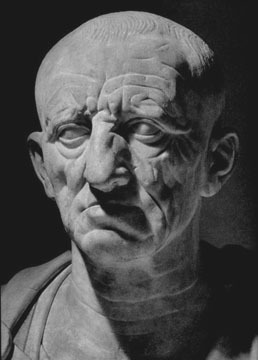 50 B.C. — the expression, the eyes, are different — hungrier. He seems part machine, part man, a shark on the prowl. 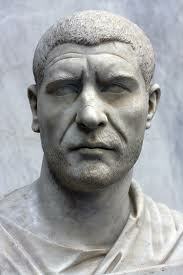 The basic humanity of Rome’s leaders begins to fade here. 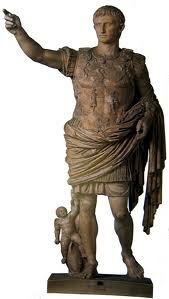 Fast forward and we get the pompous, detached Marcus Aurelius (ca. AD 165, below left), and his son Commodus (ca. AD 190, below right) who went native. Aurelius’s stoic philosophy of detachment comes through every pore, and his admiration for the Greek style in his facial hair may signal that his mind lay elsewhere. 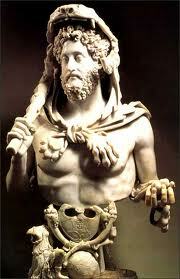 Commodus, dressed as Hercules, also gets caught up in this Greek sense of unreality. Like father, like son. The Emperor Philip, ca. AD 250. Here we have a relatable man again for the first time in centuries, but we, and Philip too, know it’s too late. 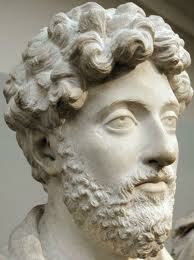 The smug, satisfied look of Marcus Aurelius has got to be the worst of them all. Similar perhaps to this guy? 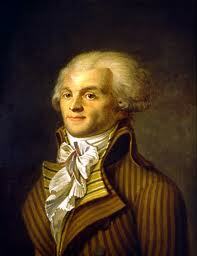 Yes, I know that Robespierre was really wicked while Aurelius was merely insufferable. But still. . . Measuring religious decline is a tricky business. How can we measure abstract ideas, principles, and so on? Well, one helpful guide is to try and see if anything makes a move to displace an idea. Some interesting but disheartening stuff from Marginal Revolution confirms that politics may be so divisive because politics is becoming a new religion. By that I mean, politics is becoming the bell-weather by which many make their most important decisions. In 1960, 5 percent of Republicans and 4 percent of Democrats said that they would feel “displeased” if their son or daughter married outside their political party. By 2010, those numbers had reached 49 percent and 33 percent. Republicans have been found to like Democrats less than they like people on welfare or gays and lesbians. Democrats dislike Republicans more than they dislike big business. To find out whether such attitudes predict behavior, Iyengar and Westwood undertook a follow-up study. They asked more than 1,000 people to look at the resumes of several high-school seniors and say which ones should be awarded a scholarship. Some of these resumes contained racial cues (“president of the African American Student Association”) while others had political ones (“president of the Young Republicans”). Race mattered. African-American participants preferred the African-American candidates 73 percent to 27 percent. Whites showed a modest preference for African-American candidates, as well, though by a significantly smaller margin. But partisanship made a much bigger difference. Both Democrats and Republicans selected their in-party candidate about 80 percent of the time. A crushing victory of Science over Religion would be a disaster, for if Science succeeded in expelling the Higher Religions from the human heart, she would not be able to prevent the lower religions from taking their place (Matt. 12:43-45). We need not call politics part of the “victory of Science” per se to see the similarities. If we continue the trends outlined in the study above, politics will become almost tribal, and little will then separate us from barbarism. De Tocqueville’s fears about the tyranny of the majority may then come fully home to roost. When these two cities began to run their course by a series of deaths and births, the citizen of this world was the first-born, and after him the stranger in this world . . . Accordingly, it is recorded of Cain that he built a city, (Genesis 4:17) but Abel, being a sojourner, built none. For the city of the saints is above, although here below it begets citizens, in whom it sojourns till the time of its reign arrives . . .
. . . it has come to pass that the two cities could not have common laws of religion, and that the heavenly city has been compelled in this matter to dissent, and to become obnoxious to those who think differently, and to stand the brunt of their anger and hatred and persecutions, except in so far as the minds of their enemies have been alarmed by the multitude of the Christians and quelled by the manifest protection of God accorded to them. This heavenly city, then, while it sojourns on earth, calls citizens out of all nations, and gathers together a society of pilgrims of all languages, not scrupling about diversities in the manners, laws, and institutions whereby earthly peace is secured and maintained, but recognizing that, however various these are, they all tend to one and the same end of earthly peace. It therefore is so far from rescinding and abolishing these diversities, that it even preserves and adopts them, so long only as no hindrance to the worship of the one supreme and true God is thus introduced. Even the heavenly city, therefore, while in its state of pilgrimage, avails itself of the peace of earth, and, so far as it can without injuring faith and godliness, desires and maintains a common agreement among men regarding the acquisition of the necessaries of life, and makes this earthly peace bear upon the peace of heaven; for this alone can be truly called and esteemed the peace of the reasonable creatures, consisting as it does in the perfectly ordered and harmonious enjoyment of God and of one another in God. Aquinas saw more hope for integration of the Christian and political life. With Aristotle, he saw governments as natural to life together. We would still have something akin to government even if we lived without sin, for government is mainly about rightly ordering our life together, just as God rightly orders the orbits of planets. Aquinas and Augustine complement each other in some parts and appear exclusive in others. Their visions of government differ fundamentally, but the Church can take counsel from both. Perhaps the model we adopt should depend on the context. Augustine wrote in the waning days of the Roman Empire when a stark contrast between pagan and Christian could easily be seen. Official power in Rome came with all the necessary attendant pagan trappings. 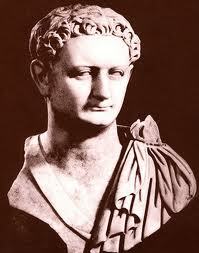 Rome dedicated itself to earthly glory. In this environment more spiritual and even physical separation of Christians from government might be warranted. Aquinas wrote in a much different time, when the overwhelming majority of people accepted key Christian doctrines and exceptions. Some kings and nobles may not have been Christians themselves, but the hypothetical possibility of applying Christian principles to governance existed. Thus, Christians could “use” the state more effectively and with less spiritual risk in his day. I recently attempted to read Gregory of Tours’ History of the Franks. After Book III or thereabouts I put in down in frustration. I just could not keep up with all of the Hingest’s killing the Umvold’s marrying the Griselda’s. I got lost in the maze. I mentioned my frustration to a colleague and superior medievalist. He replied along the lines of, “Of course those parts are confusing — Gregory doesn’t care about politics. He’s really interested in what’s happening with the Church. That’s where he focuses his attention and does his best writing.” With this insight I plan on trying Gregory again sometime. The time may have arrived for the American Church to follow Gregory’s lead, not just for our sake, but for the sake of those around us. *We should think that Augustine preached a withdrawal from civic life altogether, or that he advocated for Christian “holy huddles.” Rather, I see Augustine advocating an approach that would help the Church maintain its salty taste. We shouldn’t enter games where the rules are by design stacked against the God’s command to love one another, to consider others better than ourselves. Every Congressman, Senator, and President must think primarily of their base. Every negotiation, every law (so it appears) is formed not from trust but from negotiating partners that start with an untenable position and then give grudgingly. If you were like me you grew up thinking that math stood as the most obvious, least abstract, and therefore most inherently “atheistic” of the disciplines. Literature involved interpretation, who knows what happened in the past with History, but math was always math, brutal, hard, and cold. Long after my last math class I found out that in ye olden days, Greek philosophers considered math the most inherently religious of the disciplines. It involved, after all, abstractions, universals, unchanging reality, and perfection, the very things inherent in the spiritual realms. After the Greeks, some of the greatest mathematical advances came from deeply religious people like Pascal and Newton. 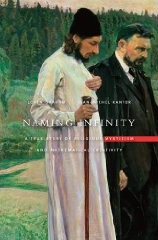 A strength of Naming Infinity, by Loren Graham and Jean-Michel Kantor, is that it looks at some of the deepest questions about the truths in Math through one obscure group of people at the turn of the 20th century. In Russia at that time a group of monks arose who engaged in a practice called Name Worshipping. The roots of this practice go back to the “Jesus Prayer” prevalent in Eastern Orthodox spirituality, where a person repeats the prayer, “Lord Jesus, have mercy on me a sinner” continually to achieve greater spiritual awareness. Name Worshippers went further, believing that “the Name of God is God.” The name of God contains His character, so speaking the name of God revealed God Himself. The church labeled this practice heretical. God’s name stands for God Himself to be sure, but the church’s main criticism of this practice stemmed from the seemingly “magical” qualities the monks attributed to the name itself. And of course, since the name of God gets rendered differently in different languages, it could open up the charge of polytheism. Naturally the monks accused of heresy had good arguments in their defense, denying that they believed literally in the divinity of the letters or sounds themselves. Rather, the name of God stood as the most important signifier of divinity in the world (the idea of “signs” would prove to be a link to mathematical innovation). The book frustrates somewhat on this topic, because although this so-called “name worship” will have an indirect link to the story the authors tell, it gets dropped early in the book. Still, the authors are not Church historians or theologians, and probably rightly step out of the way of an issue they wouldn’t understand well. This is one weakness of the book — the authors introduce an esoteric and unfamiliar concept and then drop it for the vast majority of the story. The real root of the book deals with a mathematical and not a theological controversy (though theology remains indirectly involved in the story). On one side we had the French, who stressed “continuity,” the idea that to get from one mathematical point to another, one must pass through all intermediate points. Math then, is a closed system, a measurable system, where numbers have a concrete reality that cannot be manipulated. To take a simple example, defining the set of numbers such that their squares are less than 2, and naming it “A,” and analogously the set of numbers such that their squares are larger than 2 and naming it “B,” brought into existence the real number the square root of 2 (emphasis mine). Similar namings can create highly complex new sets of real numbers. . . . When a mathematician created a set by naming it, he gave birth to a new mathematical being. If math dealt with more than finite possibilities, then “real reality” too had to be more than just finite. The connections of math with religion become obvious, as creation happened in Genesis 1 via the Word, via naming (this idea is present in Egyptian texts as well). Luzin would start from the outset by posing to his students who were hardly out of high school problems of the highest level, problems that stymied the most eminent scholars. Here we sense the mystical side of math where one bypasses “matter” to get right in touch with “reality.” It sounds thrilling, but I don’t understand it. I never was any good at math, but this sounds appealingly very little like the math I had in high school. But one also might sense its weaknesses. The great Luzin (mentioned above) would sometimes brag that he “never solved equations anymore.” That is, math resided for him not in reality, but perhaps in some gnostic fairy world. Math need now always have a direct physical application to have value. The training of the mind itself has great value. But math must, I think, have some “physical” applications to root us close to the Incarnation. But though I found the book oddly structured, and though it bounced around too much from topic to topic, the book has great value in exposing western laymen like myself to a whole new way of thinking about math, and about reality itself. *This whole approach reminds me of Dostoevsky’s theories on reality as it applied to gambling. In his story The Gambler, it seemed to me that he thought the interaction of the human will could influence the games played. It was never about mere statistics. Likewise, I had a friend who swore that he developed a “system” to win on roulette, which seems like a game one must lose if played for any length of time. Yet he assured me that over the course of more than a year, with 10+ trips to a local casino, that he had come out ahead $880.